I mean, over 15,000 (!!!) positive reviews can't be wrong. Do you hate getting ready in the mornings? Do you repeatedly hit the snooze button because you despise waking up with same amount of wrath that satan himself possesses? Do you literally just love coffee? Great, then THIS POST IS FOR YOU. Maybe you feel all of those things on a deep level!!! In which case, definitely keep reading. 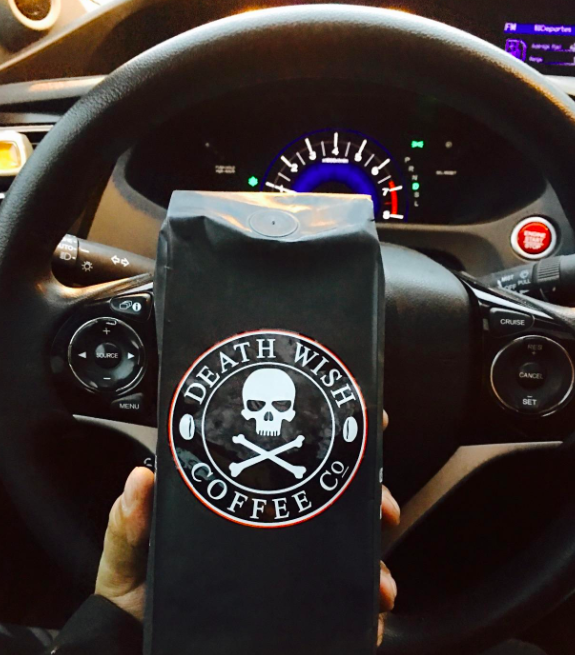 Sleepy heads of the world, allow me to introduce you to Death Wish ground coffee ($20). It's a specialty roast containing twice the amount of caffeine compared to an average cup of coffee — so, um yes, it really does live up to its name. 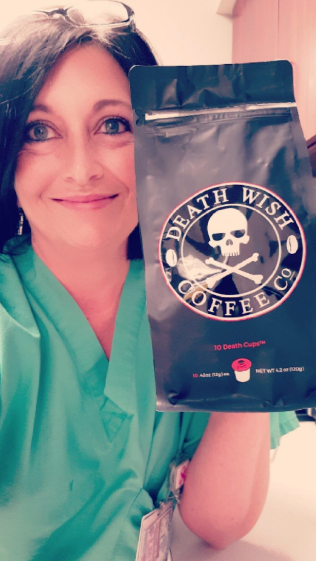 According to their website, Death Wish coffee has 200% of the caffeine of an average cup of coffee (per 12 oz. cup), and is USDA-certified organic. I MEAN, HELLO, GOOD MORNING — that is a lot of freakin' caffeine. Plus, it actually tastes good. After reading tons of reviews on this product, most everyone agrees that the flavor profile is rich, smooth, and bold (but we'll get to the reviews in a second). Now, when I say people love this coffee, I mean people LOVE this coffee. It has over 15,000 positive reviews on Amazon, and a 4.6-star rating. 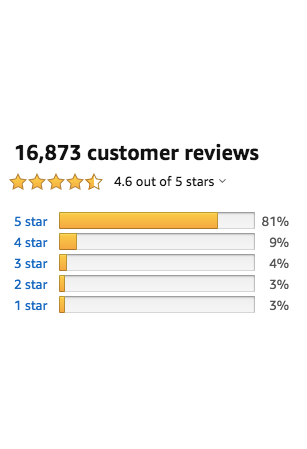 And if you've ever perused Amazon, you know a 4.6-star rating is almost unheard of! First off, this isn't some bland hotel-level coffee. Point in case: This reviewer noted the flavor's "wonderful rich and smooth 'bulk', no acidic aftertaste." Hey, that all sounds good to me! "I'm sold. I bought this to keep me alert and focused at work. By my second cup I no longer needed a keyboard or mouse, as I was able to control my computer directly by thought. By the third cup I could hear colors and smell sounds. After my fourth cup, I decided to burn off some of the excess energy with a quick jog, and ended up finishing the Kessel Run in 11 parsecs flat! Seriously... Buy this stuff!" 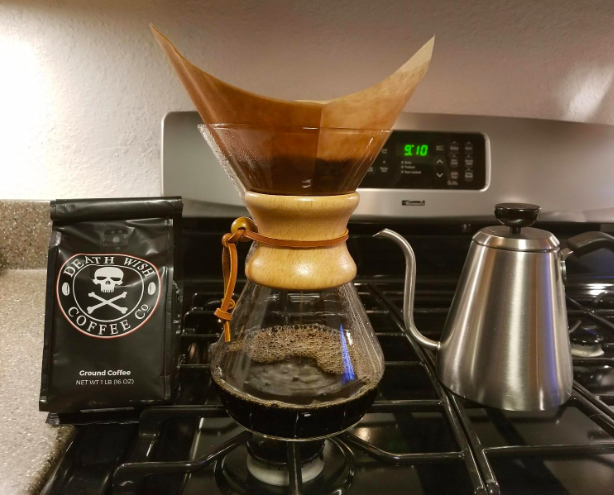 —Erick W.
Now kiss those sluggish mornings goodbye, and get your hands on this coffee, stat. Get a 1-pound bag from Amazon for $19.99 (also available in K-cups here). And find more coffee-related products here!